In 1988, Dr. John F. MacArthur, Jr., published the first edition of “The Gospel According to Jesus.” By defining salvation by what it produces and what salvation will not fail to produce—namely, not only glorification, but good works, repentance, faith, sanctification, yieldedness, and obedience, the book in its sales not only heavily spread the extent of the debate, but the debate expanded in scope, from questions about conversion issues, to questions about what is also necessary, and who it is who does what, throughout the Christian life. Using surrender language in the gospel became not the only issue. Free Grace theology became an umbrella term for a variety of opposing or contrasting positions, sometimes arguing that Lordship salvation was legalistic, sometimes more opposed to it than that, for example, faulting it about not being specific about what degree, quality, and current visibility there must be to the obedience necessary. The controversy continues to be debated in discussions about not only all the gospels, but in discussions about almost any of the Pauline epistles [the New Testament books written by the apostle Paul], and the rest of the New Testament, as well as much material about salvation in topical studies, and in systematic theology (quote course here). 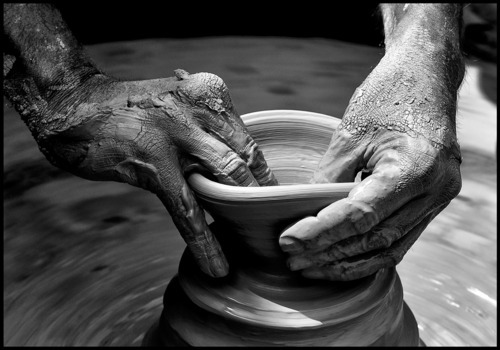 While the debate is still very much alive and still as heated, often defined in terms nowadays as “legalism versus grace” (although the issues go deeper than just that); at the core of the controversy is the whole idea of who “owns” our lives (especially for those of us who consider ourselves to be Christian). Innumerable books, articles, and other media have been written and created on the topic since the 1980’s. Indeed, entire ministries have sprung up from the debate leaning heavily on one or the other side of the issue, and I have no desire to add to that debate. As I wrote in a previous blog post a few days ago (see “Contemplating God’s Sovereignty”), the whole idea of one person having complete control over us as individuals and as Americans is an alien concept, so the idea of anyone being “Lord” (or King, Queen, dictator, or sovereign ruler) over us can rankle our nerves. After all, we are Americans and we like our freedom to choose. Rugged individualism is at the core of who we are as a people and as a nation–just look at John Wayne. A leader has his peoples’ best interests at heart; a dictator has his own interests at heart. A leader corrects injustices; a dictator commits and encourages injustices. A leader protects the weak and helpless; a dictator oppresses the weak and helpless. A leader unites the people; a dictator creates division and polarizes the people. Leaders advance and develop their countries; dictators setback and destroy their countries. When people are hurting leaders share the peoples’ grief; dictators hurt and grieve their own people. Leaders are loved because they don’t instill fear in their people; dictators are hated because they instill fear in their people. Leaders comfort the oppressed; dictators oppress the comfortable. Leaders are trusted by their people; dictators betray the trust of their people. Leaders abide by the Law of the land; dictators are the Law of the land. It takes a leader to notice another leader; it takes a dictator to destroy a leader. Most of the time when we think of someone with supreme control over others we think of them in the role of a dictator–someone who does not care about the people or their needs at all, but rules with “an iron fist” as indicated in the list above. Unfortunately, world history proves this out many times; for example, in recent history with Adolf Hitler or Mao Tse-tung. As Americans, we tend to think of anyone in the role of a supreme ruler or king or lord as a dictator–one who does not have the peoples’ interests at heart but the interests of only themselves; and history has proved over and over again the enormous damage caused on the world scene by an autocratic dictator. However, there is One supreme ruler who is anything but a dictator as described in the list above. That supreme ruler (and leader) is Jesus Christ. In fact, if we read that list above again and look at all of the attributes of a true leader, Jesus Christ fulfills every one of them, and a whole lot more. When Jesus Christ, the only Son of God (see John 3:16-18), came to earth, born of a virgin; He came as a servant announcing the kingdom of God and how to become a part of it (see John 3). And during His public ministry (His last three years), He told us how to live and to turn from sin; He healed the sick and the blind and the lame; He performed miracles; and He admonished the religious elite regarding their hypocrisy and their need to get right with God. And He announced to Pilate, right before His crucifixion and resurrection, “My kingdom is not of this world . . . my kingdom is from another place” (John 18:36). “And that every tongue should confess that Jesus Christ is Lord, to the glory of God the Father” ~Phil. 2:11 (KJV). In the game of football, the teams that emerge in championship games generally are the ones who have a quarterback who excels at his ability to play that position. Many qualities make a quarterback great, but the most successful quarterbacks are respected leaders. Their leadership commands attention, which results in the entire team responding to them. When you repented of your sin and trusted in Jesus Christ and Him alone for your salvation, Jesus became the Savior and Lord of your life. As Lord, that means He calls the shots. He tells you where to line up and how to live when you are under pressure. The Greek word “kurios” is used in the New Testament to identify Jesus as Lord. The word refers to one who has authority over another person. The disciples used the word when referring to Jesus in Matthew 8:25, 16:22, Luke 9:54, and John 11:12. 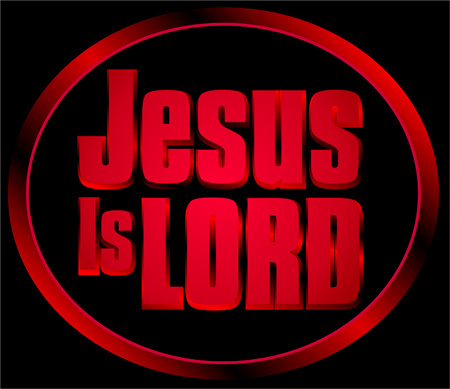 Jesus is the Lord of lords. Jesus is not just the quarterback of your life; He is the Lord of your life. No one has ever done what Jesus has done. He is Lord, Leader, King! All to the glory of God the Father. Jesus, I reaffirm and recommit my life to You today. I confess that You are my Lord. Help me to demonstrate that belief to others. We often get so caught up in the details of life and what we want and seek after that we lose sight of the kingdom to come–we lose sight of what Jesus had to say about how we should live in this world (which is temporary) and to follow Him and His lead. Because we are so used to having so much freedom in America to pursue whatever we want, we often fail to recognize that Jesus Christ is not only our Savior but our Lord, and He is the one who calls the shots in our life. Often, we want Him as our Savior but we still want to call the shots and have the control on what we do, how we act, and what we want to pursue in this life, centering our lives around ourselves. As the apostle Paul stated in Philippians 2:3-4, “Do nothing out of selfish ambition or vain conceit. Rather, in humility value others above yourselves, not looking to your own interests but each of you to the interests of the others” and also to conduct ourselves in a manner worthy of the gospel by standing firm in the Spirit and striving for the faith (Phil. 1:27), and not just living for what we want to get out of life. So, laying aside all the debates over the issue of “Lordship salvation” or any other terms we use to define it, who really rules our life? If we claim to be Christian, we cannot serve ourselves and Jesus Christ at the same time. And it’s critical that we answer this question right . . .